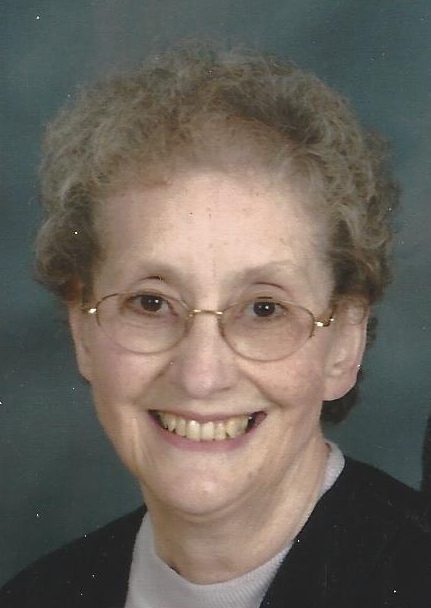 Joanne H. McDonough, age 87, of Lake Orion (formerly of North Branch) passed away on March 25, 2019 at Lake Orion Nursing and Rehabilitation. Joanne was born February 5, 1932 in Pontiac, the daughter of Louis and Leora (Lyons) Goulet. On February 19, 1950 she married Harry McDonough at St. Michael’s in Pontiac, he preceded her in death on March 23, 2009. Joanne was a member of SS. Peter and Paul Church in North Branch. Joanne enjoyed crocheting and reading, but she especially loved spending time with her family. Joanne is survived by daughters; Deborah (Joseph) Martin of Port Austin, Rebecca (Daniel) Culvey of Dryden; sons; Harry Jr (Pamella) McDonough of Greenley, Colorado, Michael (fiancé, Dana) McDonough of Leonard and David (Kim) McDonough of West Olive; many grandchildren, great-grandchildren, nieces and nephews. The family will be present for visitation on Monday, April, 2019 from 5 to 8 PM at Blackburn Chapel-Martin Funeral Home. On Tuesday, April 2, 2019 Joanne will lie in state from 10 to 11 AM, with the Funeral Mass to follow at 11:00 AM all at SS. Peter and Paul Church. Burial will be at SS. Peter and Paul Cemetery. Father Muma will officiate.